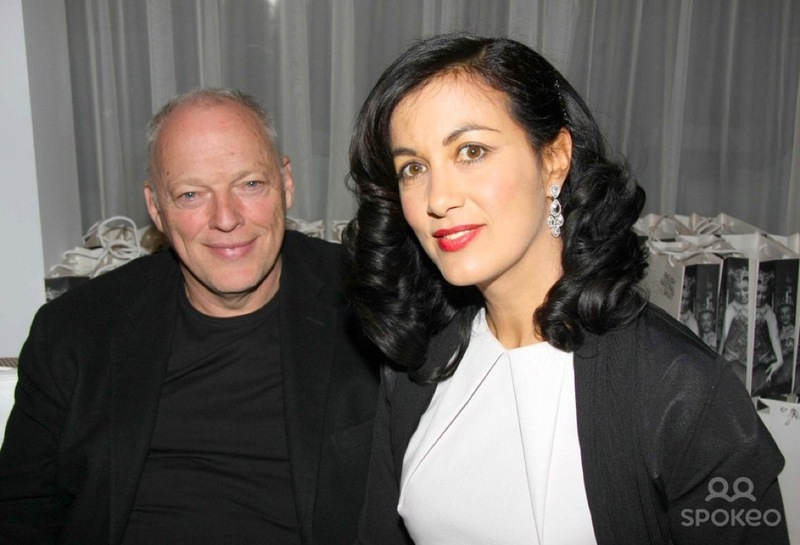 Polly Samson with husband David Gilmour whom she writes lyrics for. 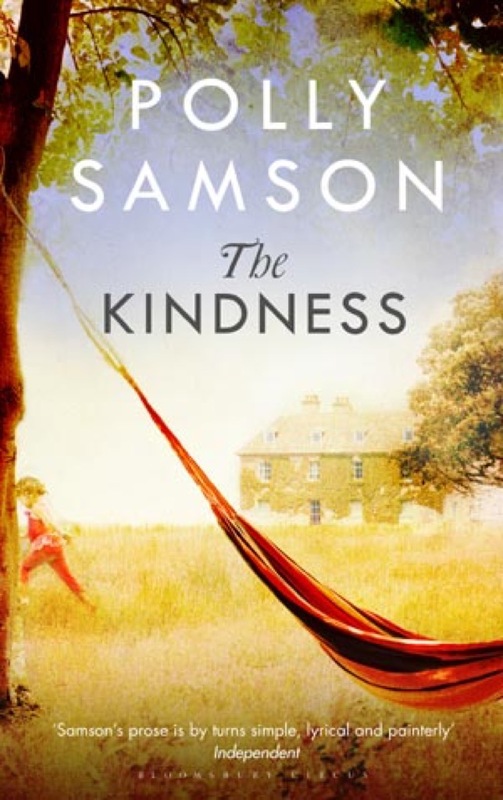 I was surprised and flattered to be summoned to London for a dinner party at Quo Vadis, in honor of Polly Samson, whose latest novel « The Kindness » (Bloomsbury) is on display in every book store. New York book publicist Lynn Goldberg, had asked me with her usual charm, to join an incredibly distinguished group of writers and publishers on the eve of the London Book Fair. Our host was Clare Conville, Samson’s literary agent, who had a few of her authors around the table. Bloomsbury’s editor in chief Alexandra Pringle, was in deep conversation with Maria Campbell, the New York queen of scouts, and George Gibson, her New York colleague, spoke passionately with his new author, whose book will be out in September in the US. I had a long conversation about falconry and Cornwall with Polly, who is as « sympathique » as she is beautiful! her first chapter describes the feeding of a hawk in great detail! Firdaws, the mysterious house, in which her hero spends endless weeks alone, while his wife plays in London, is probably set in the Bodmin moors, and we both agreed that this western part of Britain, all the way to Land’s End, is one of the precious territories in the world. I hardly had time to share my excitement over Jordan Spieth’s victory at the Masters in Augusta with George Gibson who plays golf in Connecticut, so passionate was my conversation with writer and long time New Yorker drama critic, John Lahr, over Harold Pinter and Woody Allen, actors-directors he knows well! 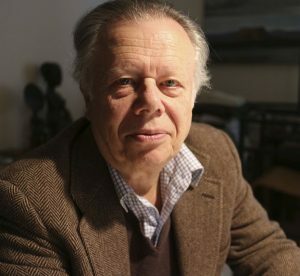 John Lahr, the brilliant drama critic. Clare, who had very graciously sat me next to her, was talking about the Curious Arts festival which she runs in Pylewell park in the Black Forest, in Mid-July, on David Roper-Curzon’s estate : it mixes music and books. Polly Samson’s husband, delightfully relaxed David Gilmour, the Pink Floyd musician, was laughing when I asked him how it felt to become the husband of… Dinner was delicious (fish salad, crispy pork and crème brûlée) and lasted well into the night, when the “it couple” departed for their house in Brighton and I happily jumped into a black cab, such a luxury when you are accustomed to dirty Paris taxis. We also have some cool stuff happening: Ed and I just attended the Tribeca Film Festival NY premiere of the new documentary film, “Drunk Stoned Brilliant Dead: The Story of National Lampoon”, which has footage of him in it, and I just found out I am accepted into a three-week Dutch marine expedition in June to the little island of Sint Eustatius, about 50 km northwest of Nevis. And we leave this Saturday for 4 weeks on Nevis. Following Laure is a delight.